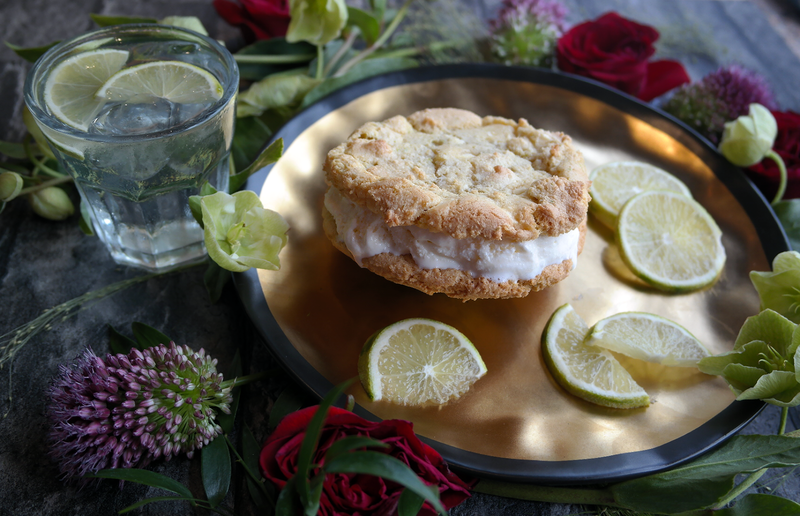 GIN & TONIC ICE CREAM SANDWICHES - Sugar, Darling? 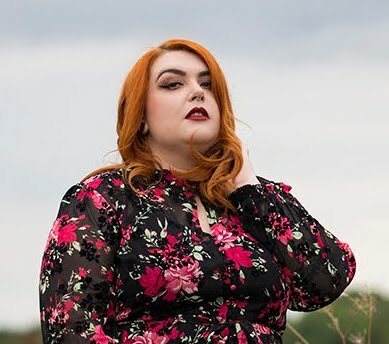 So I'm pretty sure everyone knows that I'm a huge gin fan (I have a gin tattoo for heaven's sake) and so the chances of me wanting to try gin and tonic ice cream were pretty darn high. 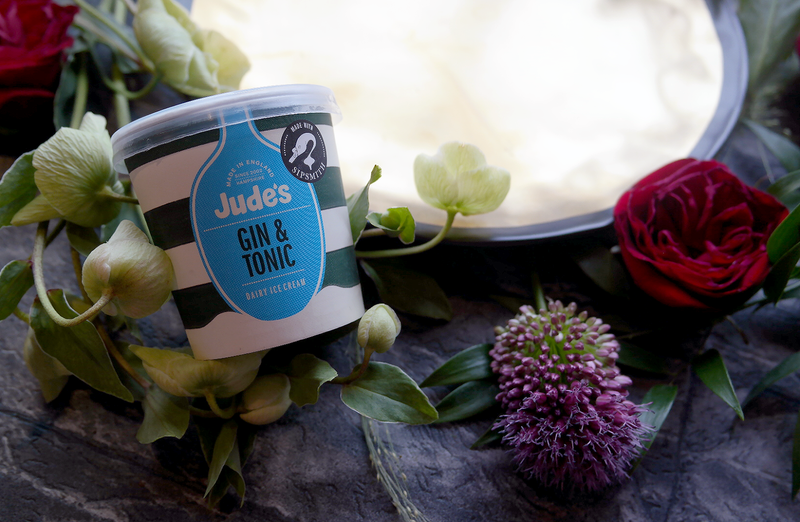 Little was I to know though when I spotted Jude's Gin and Tonic Dairy Ice Cream and added it to my weekly shop that it would become my Summer eating obsession! Seriously guys, if you like a G and T you will love this ice cream - it's even made with Sipsmith gin, not just any boring old booze! I wanted to share my love for this delectable (and sadly limited summer edition - must buy another freezer to fill with it) ice cream but do something a bit more interesting than a simple 'this stuff is yum' post, so naturally I thought I should come up with a recipe that uses it. I'm not a fan of ice cream cakes as I have an aversion to frozen cake but on a hot day you just can't beat a good ice cream sandwich! 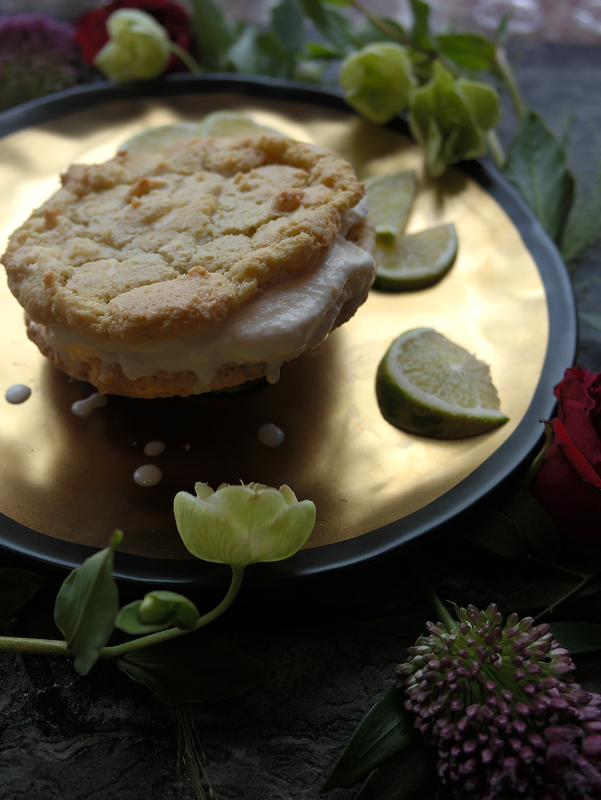 A standard milk or dark chocolate cookie wouldn't have been the one here, it needed something sweet but with added creaminess and zing to echo that of the ice cream itself and so my white chocolate and lime cookie recipe was born! These babies are definitely amazing on their own too so even if you don't plan on squidging ice cream between them I would highly suggest making a batch to munch over the weekend! 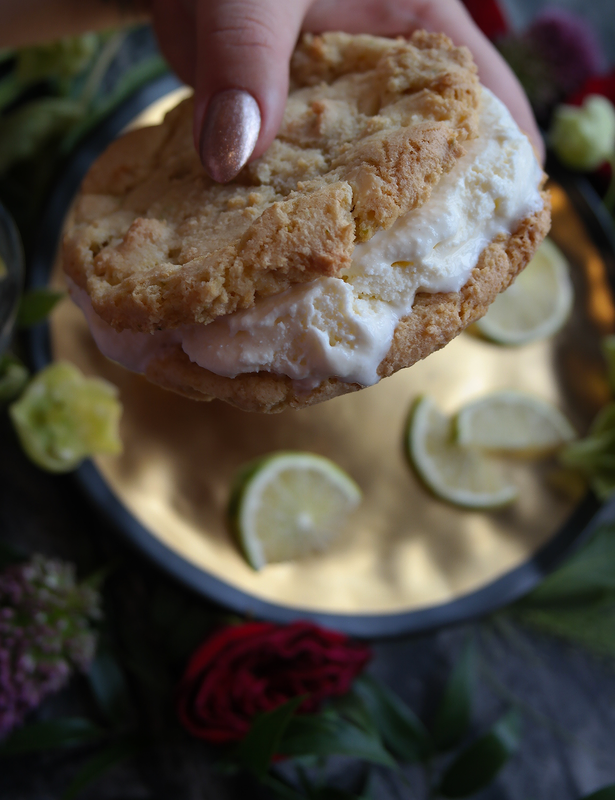 When the cookies are completely cooled get your little tubs of Jude's Gin and Tonic Ice Cream and squish it between two cookies, then tuck in before you get too melty and messy! PS - this post isn't sponsored, I just bloody love this ice cream!! !